Helping local businesses attract people to their brick-and-mortar locations and websites to convert more prospects into customers is what we do best at Advice Local. We do this in several ways. One of these is producing guides, resources, blogs and infographics to provide necessary education to local business owners and those that offer digital marketing services to local businesses. Just a few short weeks ago, we released our newest guide, the Epic Guide to Local SEO. Shortly thereafter, Google released their updated resource, The Search Engine Optimization (SEO) Starter Guide. I really need to thank Google for releasing the update right after ours. It’s the perfect companion to our guide. Most of the changes Google has been making lately aim to improve their user experience, so this section, “Help Google (and users) understand your content,” which also includes information about structured data markup, is a winning addition. We share information about this in our guide, too. The section “Make your site mobile-friendly” shares a few pointers to help people understand the differences between devices and also includes links to their other sources to review. I would have expected a bit more info included here since mobile is such a big focus at Google right now. Don’t worry – we have two previously published guides focused around mobile to help you out. In the beginning of their guide, Google asks the question, “Do you need an SEO expert?” This is an excellent question for business owners and marketers alike to consider. Keep this question in mind as you continue reading. Google’s Good for Us – Or Are They? 2017 was a great year for local business owners. Google made many changes to their algorithms and their tools like Google Analytics and Google Search Console. The Google My Business listing has had multiple updates, tweaks and new feature additions. To move forward successfully in 2018, let’s take a look back at what changed in 2017. Maybe it’s a refresher for you, but others might be exposed to these ideas for the first time . If any of these topics are new to you or you haven’t mastered them, it’s definitely time to hit the books. 1. Say What – Product Ads in Mobile Search Results? Google tested a new layout for mobile search results again, this time by placing product ads for local inventory at the top of the page. Yes, this means sponsored products are being displayed above the local 3-pack. Get a glimpse of what these ads look like. While you are at it, generate the test search I did and see what results you get. Have you seen the Google Chrome warning “Not Secure” on any websites? This update displays a warning on HTTP websites. Google first announced plans for contributing to “a more secure web” back in September 2016, citing user safety and security as a top priority. For those not familiar with the acronym HTTPS, you’ll also get a quick explanation of what it means. 3. What’s Happening with Google Lately? This article published early in the year highlights many changes to (1) the star rating system so results are displayed after only one review, (2) Google My Business guidelines for service area and virtual offices, and (3) the introduction of Lists for Google Maps. In this update, Google removed buttons to visit a local business’ website directly from search results for some verticals, instead replacing them with images from the Google My Business listing. The searcher has to visit the business’ GMB listing to find the website, call and directions buttons. Here are the details and a few screen grabs. 5. Will Machine Learning Shape the Future of Search? We already know Google is using an artificial intelligence (AI) system known as RankBrain to serve results that match user intent. But what we couldn’t confirm then is that AI and machine learning will soon play a major role in many of Google’s products, starting with AdWords and likely expanding to Google My Business and Google Maps. Google’s top priority is serving relevant, accurate search results that consumers can trust. When fake local business listings started to appear on Google My Business, the search giant went to work putting a process in place to shut them down. Find out here why you should care about fake business listings. The Googlers have been hard at work rolling out notable changes to the Google My Business dashboard. This update introduced a new menu that makes it easier to manage multiple Google My Business accounts at once. Community Q & A, now available in the maps listing of a business, is another example of Google’s desire to provide consumers everything they need to make informed decisions right from search results. Consumers can ask questions about a business and others in the community and the business can respond. Businesses should start with adding a few FAQs. Here’s how. The Google Hawk update directly affects local SEO and could mean better online visibility for local businesses. More specifically, it’s designed to level the playing field for businesses in close proximity to their competitors. Take a closer look at what all the fuss is about. 10. 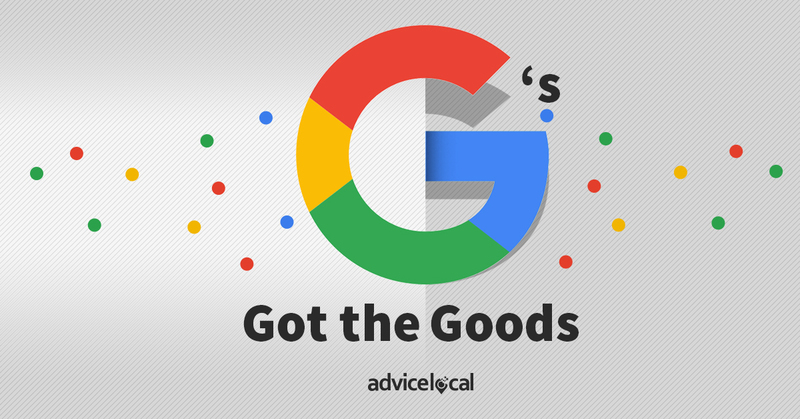 Is Google My Business the New Face of Local Businesses? Google is heading in a direction where they can provide everything a consumer wants and needs through a Google My Business listing. Here you’ll learn about reviews and consumer trust, Google Posts, and a bit about Google Community Q &A, but the section I really want you to pay attention to is Google Messaging. This feature enables users to text a business through the GMB listing. Get the low-down here. To fully capitalize on Google Posts, it is important to understand what Google Posts is and how it can be used most effectively. This post walks you through in detail how to put up a Google Post, what to feature in a post and how to integrate CTAs. Get into it right here. Above only highlights a few of the many changes Google made in 2017. If you followed what I suggested at the very beginning of 2017, in this article, “How to Future-Proof an SEO Strategy Against Google Algorithm Updates,” all of the above updates likely had little or no impact on the businesses you represent. It will be interesting to look back at this article at the beginning of next year and see how much more these things have changed. According to Google, the definition of an “SEO expert” is: An SEO (search engine optimization) expert is someone trained to improve your visibility on search engines. My question for you is: Do you need a local search expert? What about an entire team of them? Re-read Google’s definition from above and add these sentences: This expert understands the impact local visibility can have on a business’ success. They leverage Google My Business and Bing optimization, directory listings, data aggregators, GPS mapping, review sites and local-focused content creation to build trust, attract local consumers and place businesses higher in search results. If this expanded definition connected with you, perhaps we’re your perfect partner solution. Request a demo today and find out!